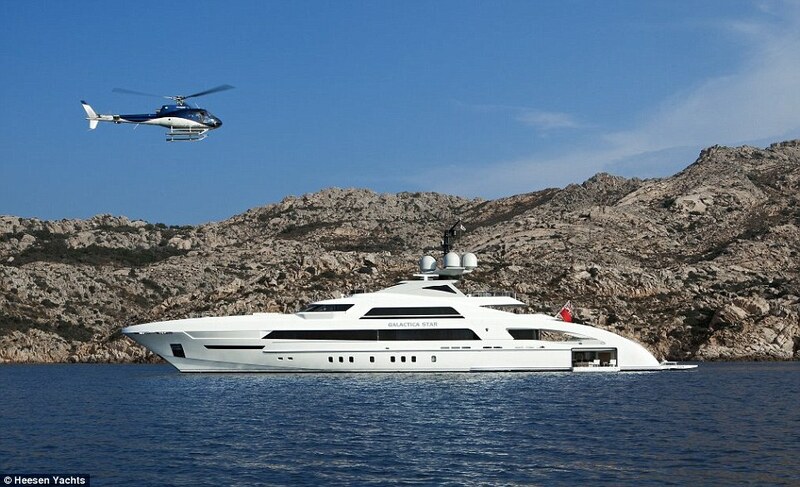 The $50million 'ultra-yacht' Beyonce and Jay-Z were snapped cruising through the Mediterranean on is so exclusive, you need to be on first name terms with its multi-millionaire owner to have the run of it. 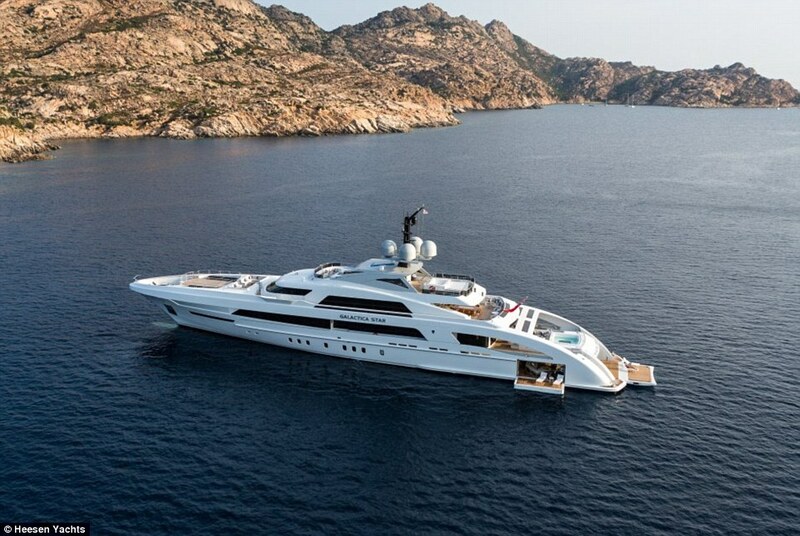 The opulent, 65-metre-long Galactica Star is owned by Nigerian energy magnate Kola Aluko, who loaned it to the superstars for a reported $900,000-a-week. 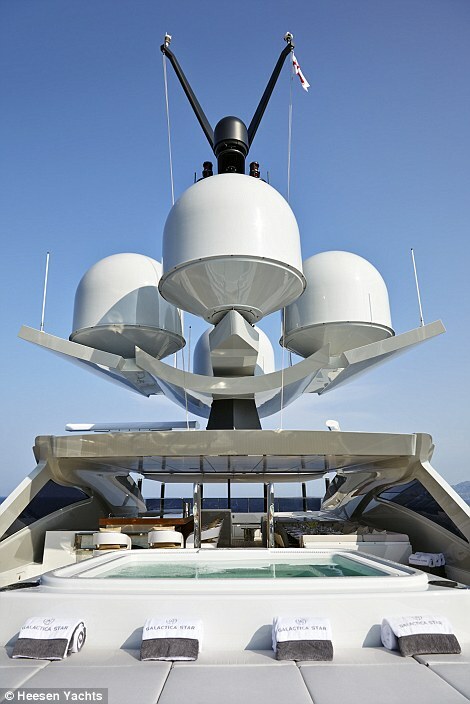 On board his floating luxury hotel is a 'beach club', private helipad, high-end kitchen, several bars and dining areas, hundreds-of-metres of sundeck space and an outdoor jacuzzi to help guests take in the views. 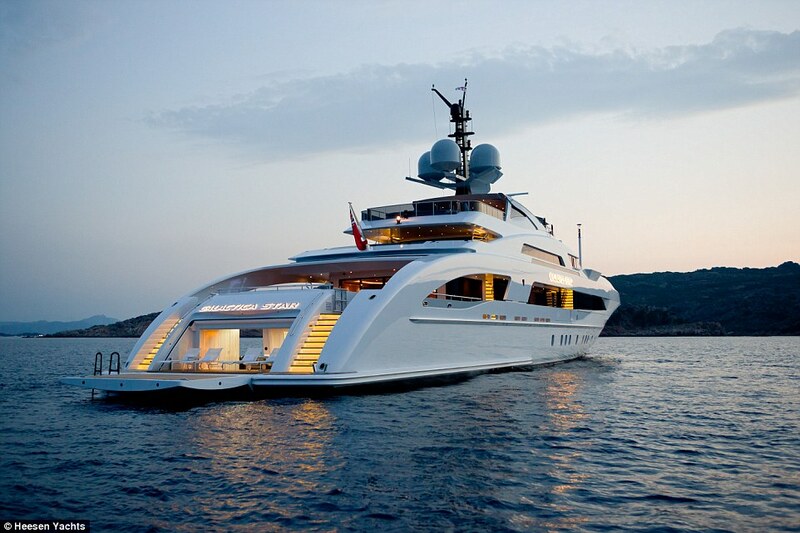 Ultimate luxury: The £50million Galactica Star yacht is owned by a Nigerian energy magnate who loans it out to superstars like Beyonce and Jay-Z, who were pictured on board last week. 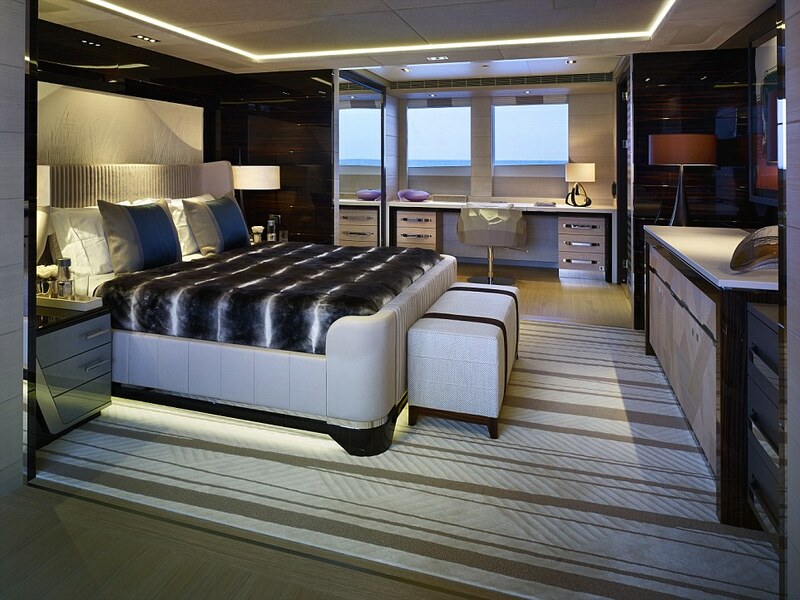 The Galactica's sumptuous master cabin, the upper-deck VIP cabin and four guest suites can comfortably house 12 passengers who are serviced by 13 crew. 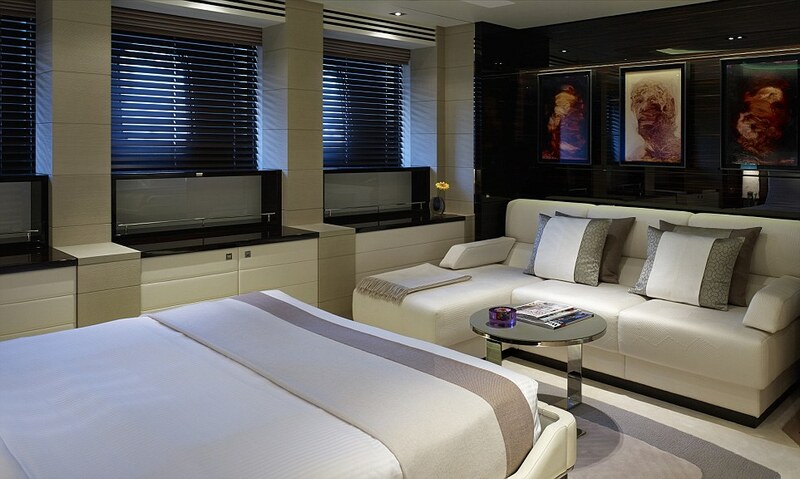 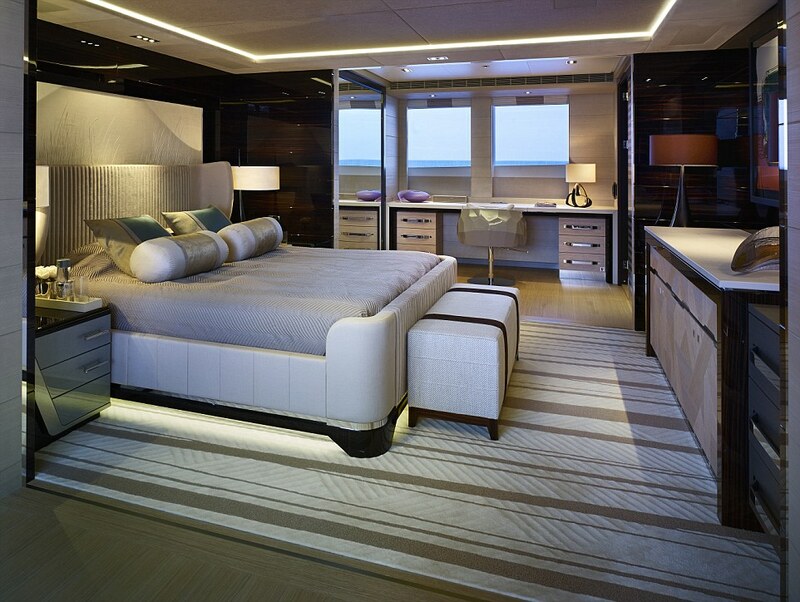 The 'full-beam' master suite comes with a private balcony, a walk-in wardrobe and spectacular views of the ocean. 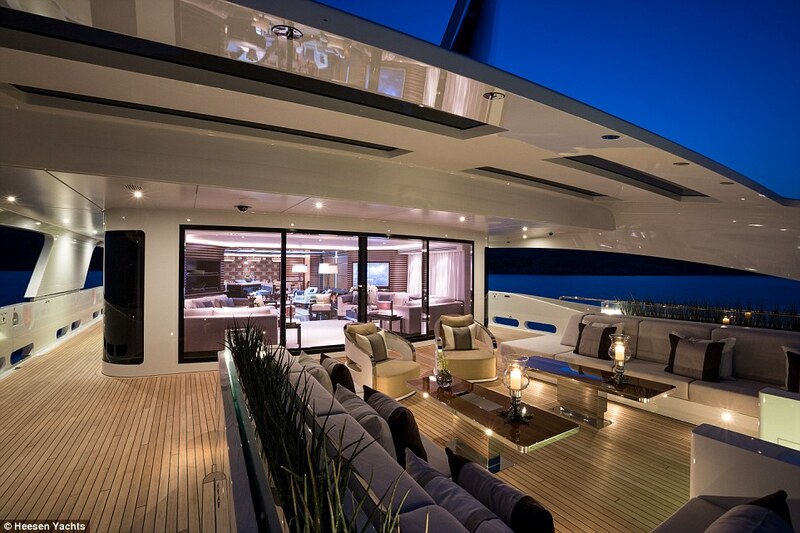 And when guests want to sunbathe under the scorching Mediterranean sun, they can choose from an array of areas on the yacht's 267-square-metres of space on three upper decks. 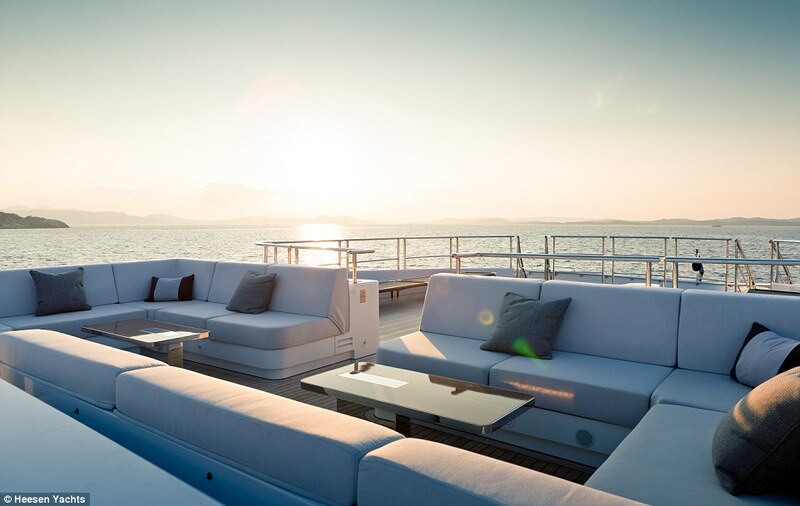 They can sunbathe on the side platform which is 'perfect for two sunbeds and a drinks table' or jump into the sea from the Galactica's 'beach club', a 22-square-metre landing at the yacht's back where guests can jump into the sea for a swim. 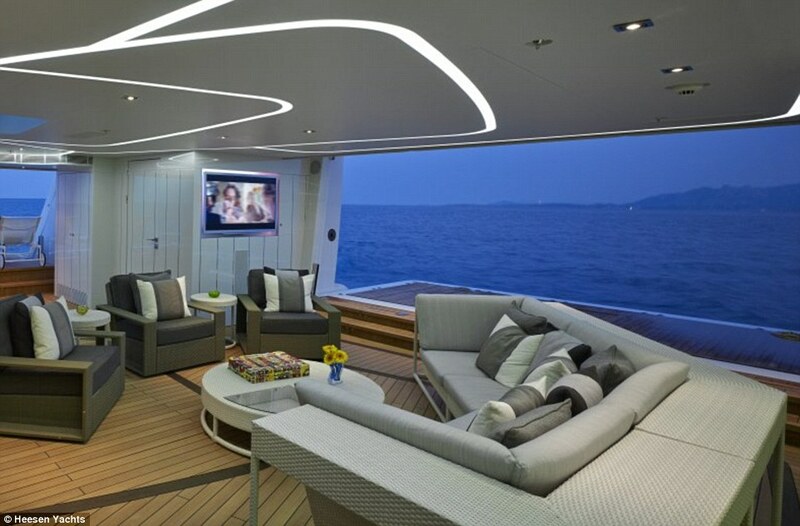 There is a 77-square-metre air-conditioned lounge, luxurious sofas, fully-stocked bar, sauna and plasma TV directly inside the 'beach club'. 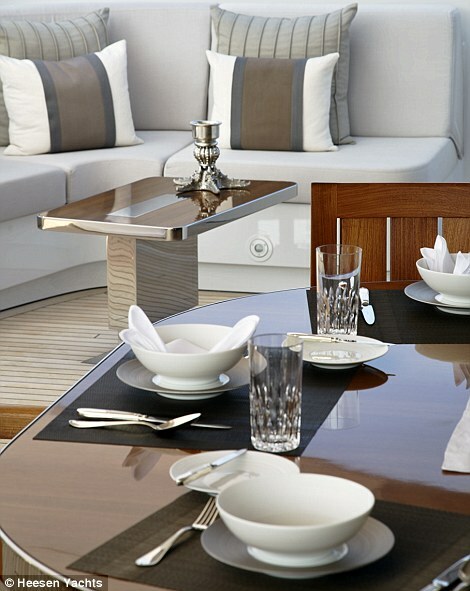 The Galactica's brochure claims there are 10 different places to dine on board. 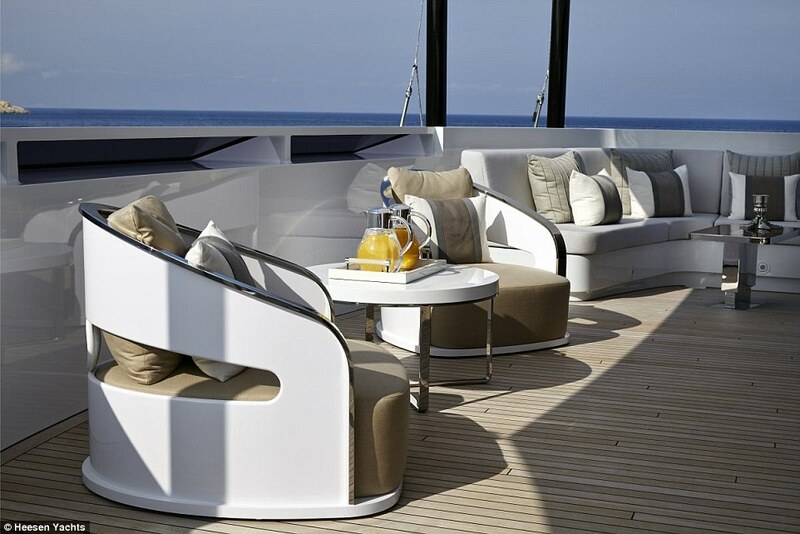 It says passengers can grab a quick bite at the 'beach club', a lazy lunch on the sundeck, a romantic dinner with spectacular panoramic views on the upper deck, a finger buffet on the foredeck and a formal, sit-down meal in the main dining saloon. 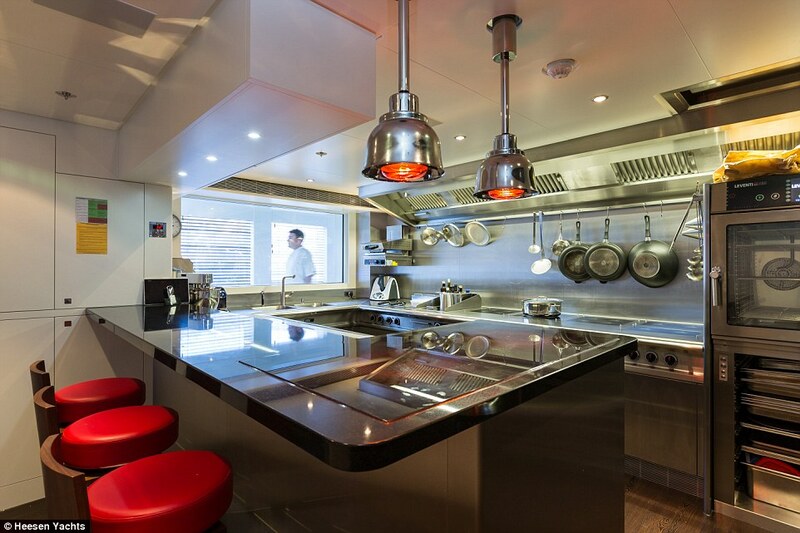 The large main deck gallery has its own chef's table, a concept taken from the world's top restaurants. 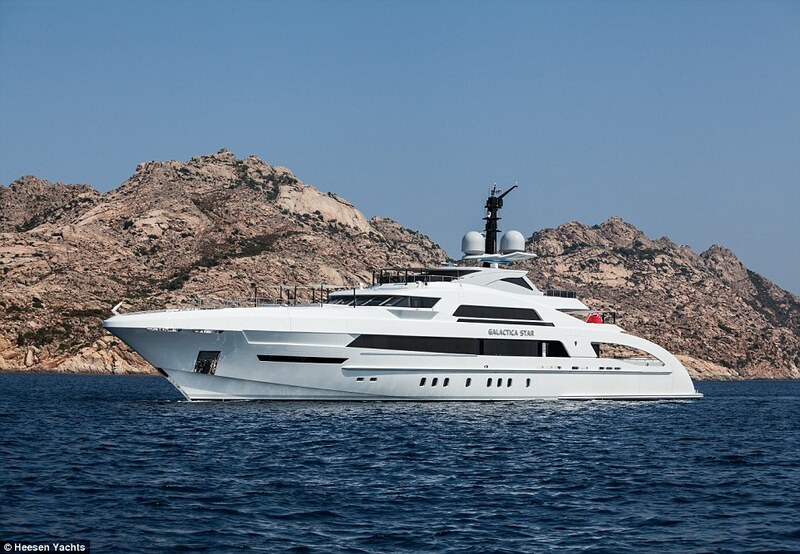 The yacht, owned by Nigerian businessman Kola Aluko, has won several awards including the top prize at the Monaco Yacht show, Nigerian websites reported. 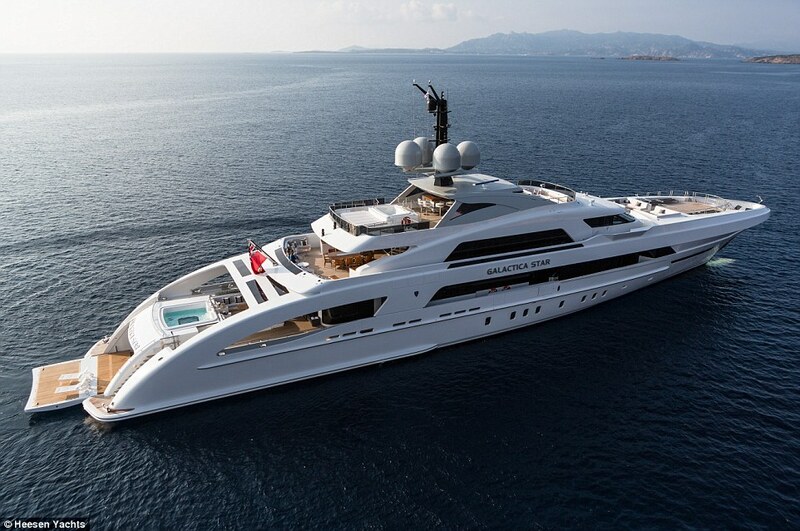 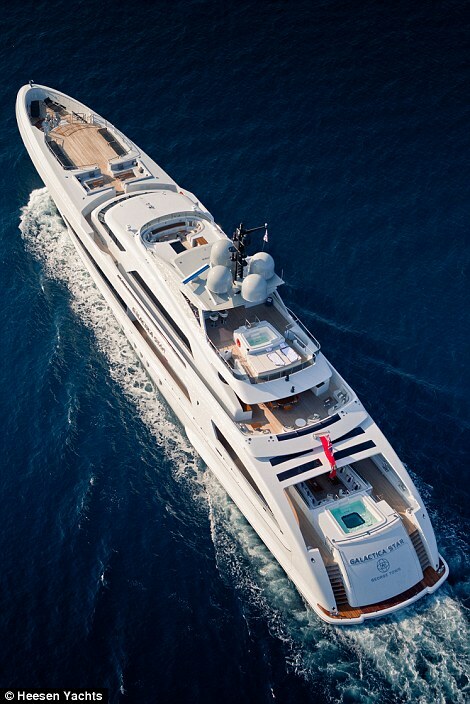 It has raised the bar and redefined how the luxury vessels are designed, according to Superyacht Times. 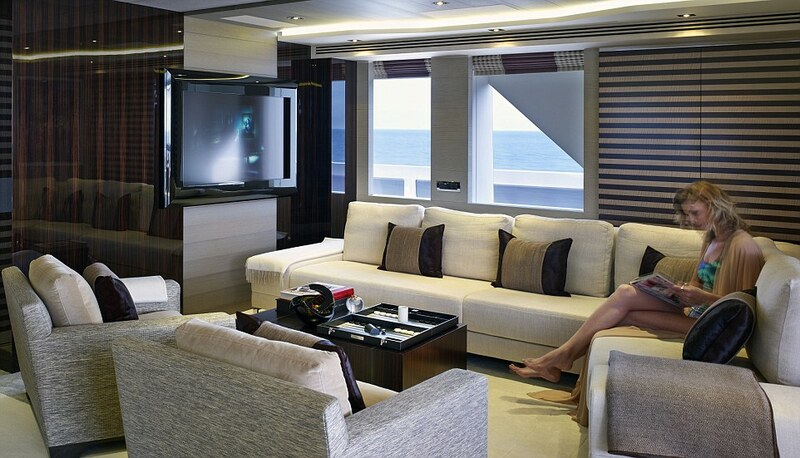 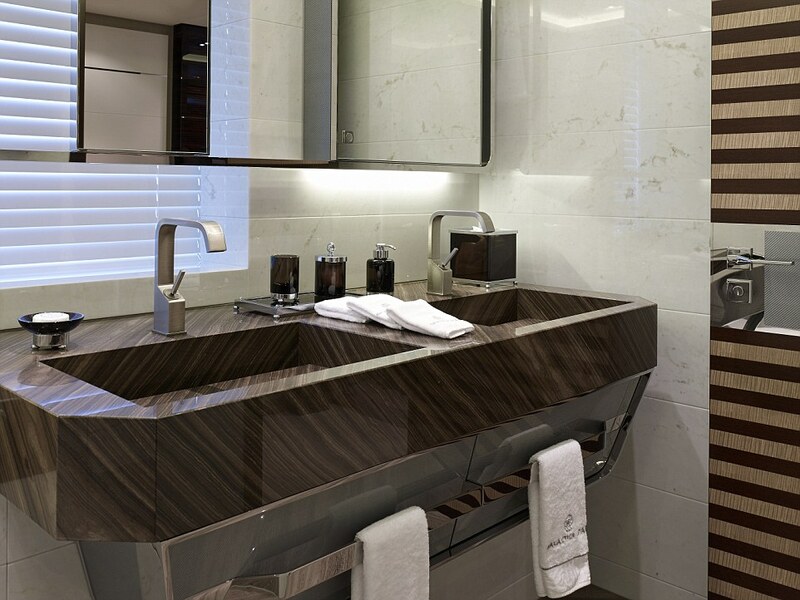 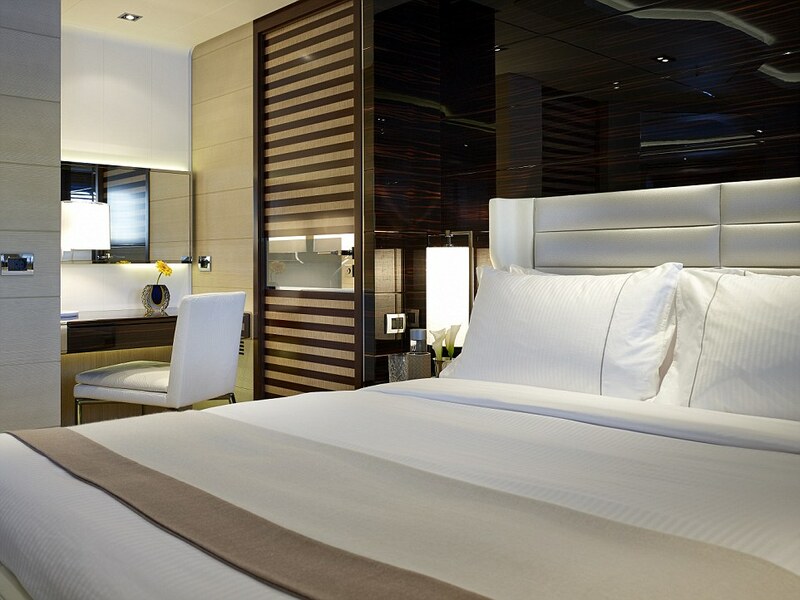 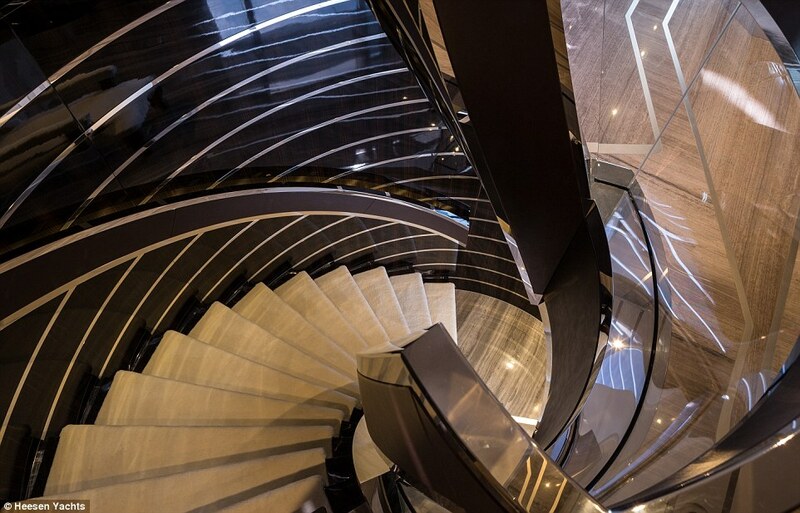 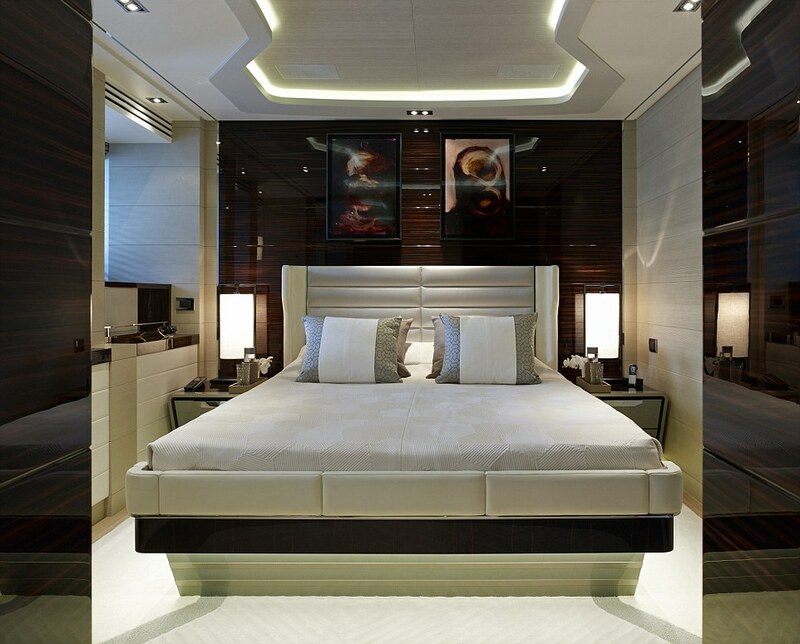 It wrote: 'Along with excellent guest accommodations, [Galactica Star] hosts a collection of equally impressive exterior areas that will have guests enjoy their time on board to the fullest. 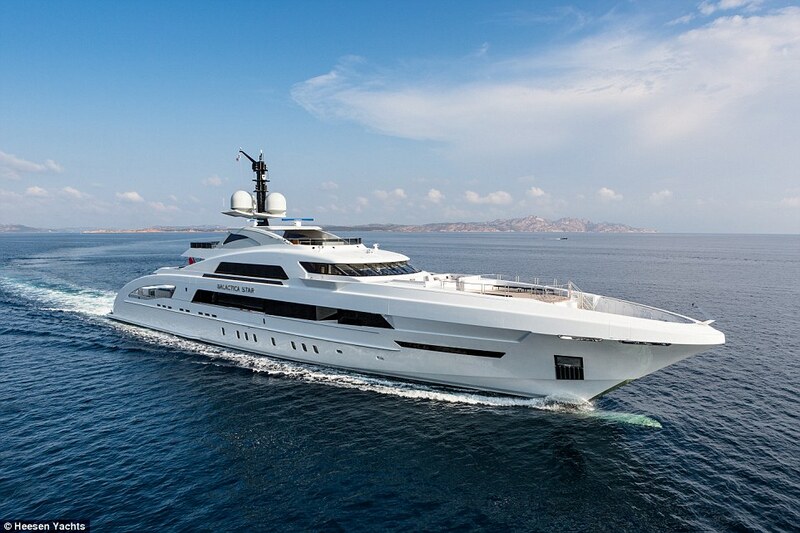 Setting the standard: In its review of the Galactica, Superyacht Times wrote: 'Along with excellent guest accommodations, [Galactica Star] hosts a collection of equally impressive exterior areas that will have guests enjoy their time on board to the fullest.